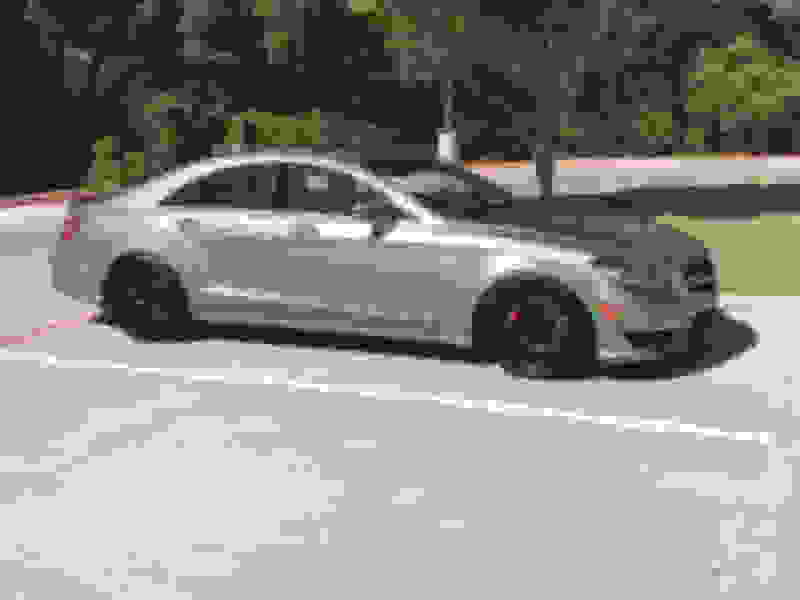 W218 CLS63, 2011 to present. Thanks Vic. I guess that's how the car rides then . I dropped mine with exactly one finger gap all around -- just like your CLS before, but not sure how you think about the rear comfort wise (maybe I'm not used to that many stiff rides and it is one's preference). The KWs definitely handles really well through corners and high speed driving though. Last edited by Vic55; 04-04-2013 at 08:45 PM. Any up to date thoughts on this subject? On a non performance pack car, what spring set up provides the closest to OEM feel / ride - not interested in the slightest in handling improvements, just pure cosmetics. I have a 13 CLS 550 on the Renntech setup with front lowering links. This is what a 6" Drop on the front looks like; with a 2 1/2" in the rear. Thanks for your reply. Could you clarify for me though as Im new to the w218. Have you changed the springs in the front as well as lowering links? and has the rear been done using the Renntech module (so on factory air)? In the non AMG 218; the front uses an air spring. However, it does not go as low as the rear. The Lowering Link is shorter in height which allows the car to go lower. Yes, the cars full factory suspension is still in place. I just changed the front links and added the renntech lowering module. i was thinking for H&R springs - $300-$400, and rear links - $200-$300, about $1500 less and wouldnt you get essentially the same results? 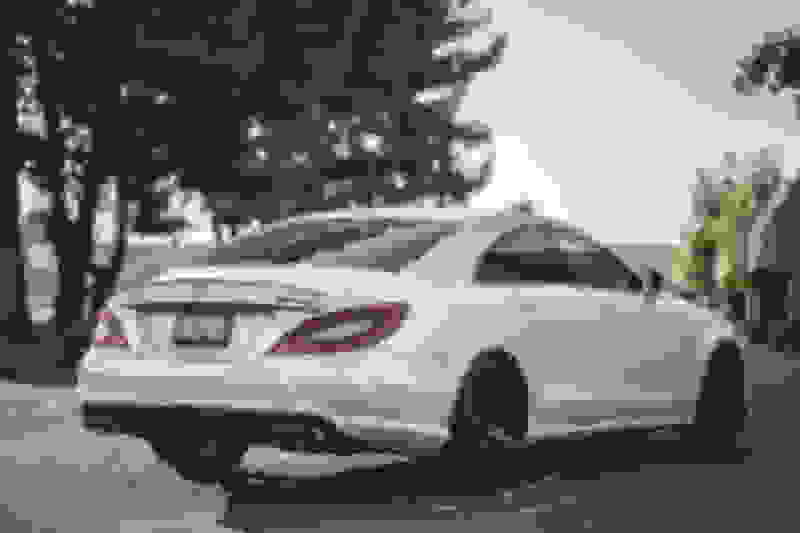 just saw this company, they have a solution for rear lowering links for the cls63. anyone used them? always was hesitant to order this type of product off ebay but it IS the name of their company! Last edited by mainly; 05-25-2015 at 01:16 AM. And wanted to see if anyone had any experience with this. Of course, here you can find many threads about this module. Called them directly. 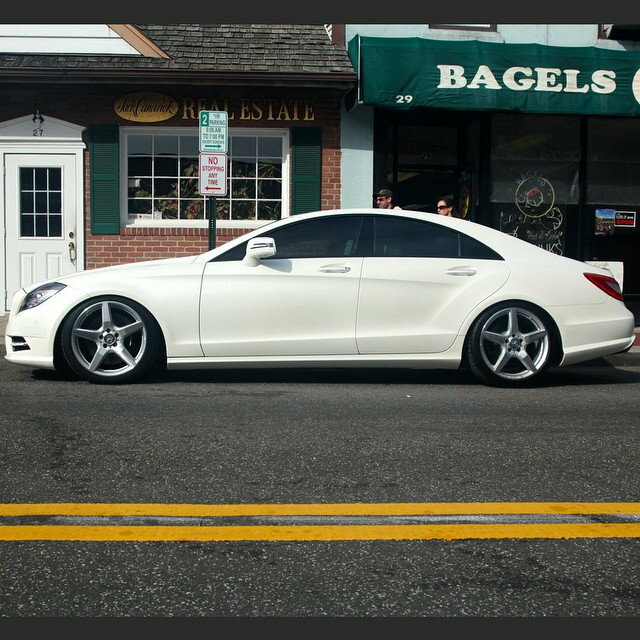 Since our suspension is spring and air in the rear it doesn't make sense investing in this system and only for the CLS550 owners since their setup is AirMatic on all 4 corners..
Looks like I'll be resorting to Coils/Sleeves in the front and links in the rear. The LoMo module 450$ work with Airmatic on all 4 corners. But about another LoMo module I don't know anything. I use Evoklass coilovers F and links R, both are fully adjustable to your desired height. Stiffness wise, it all depends on my suspension setting. Comfort is soft/smooth, sport is stiffer, and sport + is really stiff. I love the fact that I can play with it down to the exact mm to get it just right. You won’t be disappointed. Damn that looks awesome! Where did you order them from? Last edited by try m3; 08-30-2018 at 11:42 PM. got them off eBay for $650ish shipped from Ghost Motorsport which is EvoKlass out of LA area. I just a searched eBay and didn’t see any for sale. Surely you can buy it direct. If you do, make sure they send you the black rear links and not the yellowish ones. Those snapped instantly as I try to pry them off, the black ones is much much stronger.